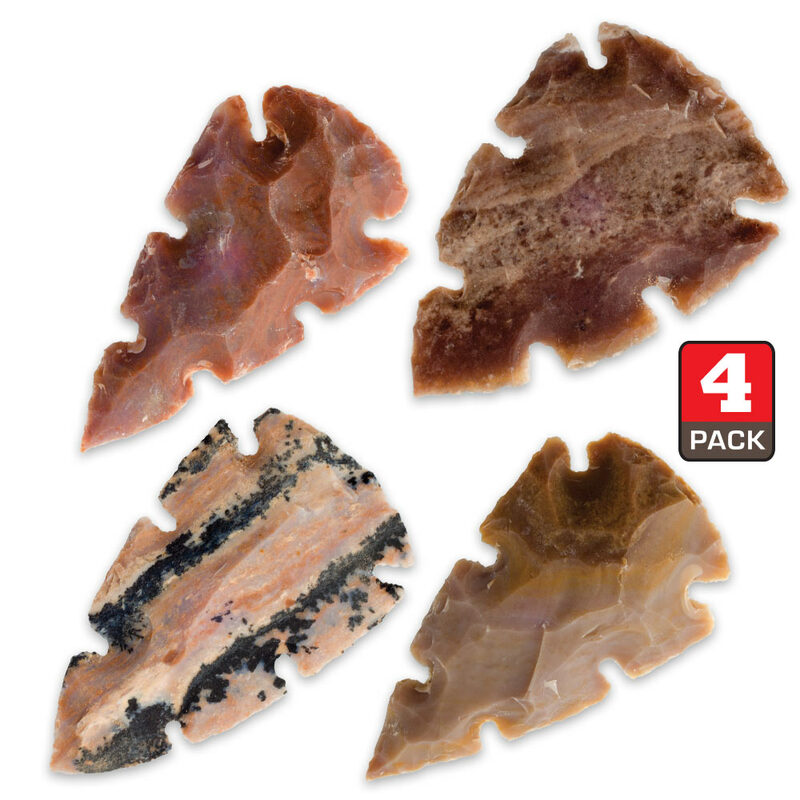 Multi-Notched Native Arrowheads - Four-Pack | BUDK.com - Knives & Swords At The Lowest Prices! 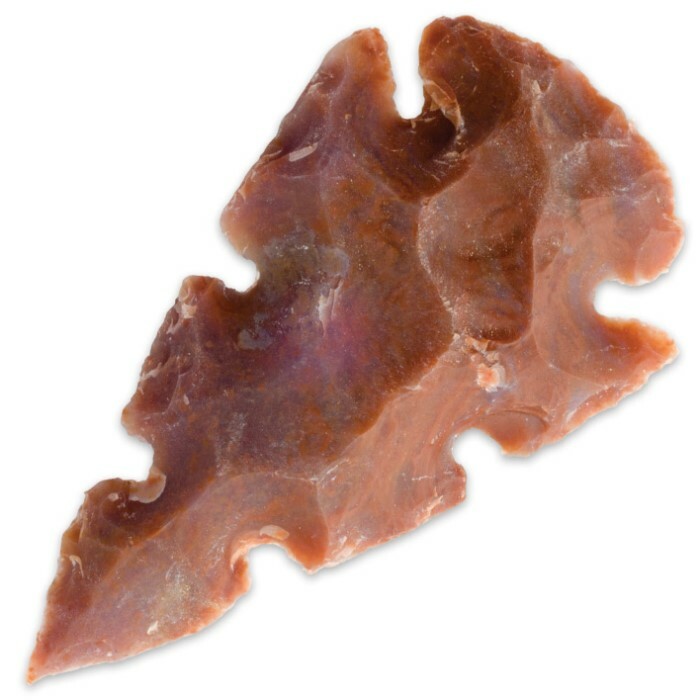 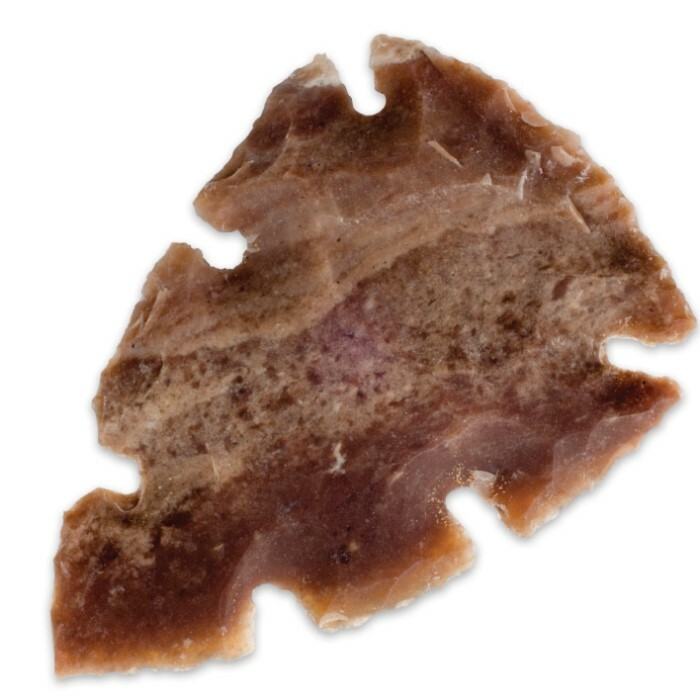 This set of replica arrowheads features excellent examples of the traditional multi-notched arrowheads, which were used thousands of years ago. 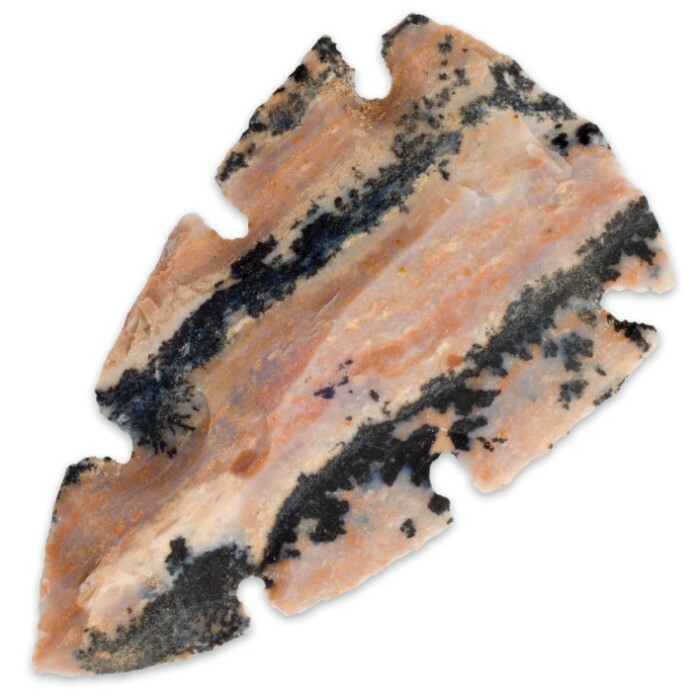 They have been hand-knapped in the town of Khambhat, India, by artisans whose family tradition of crafting beads and arrow heads out of agate dates back centuries. 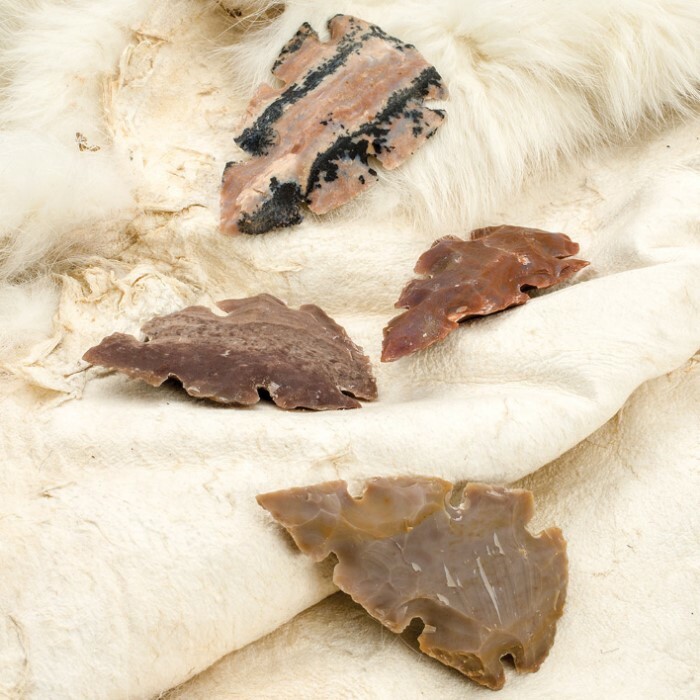 Each of these arrowheads is a unique piece with variations in color as individual as the agate it was crafted from and are true collector’s items.